Early September marked the return of Parliament and saw peers scrutinise new proposals to strengthen support available for victims of modern slavery. 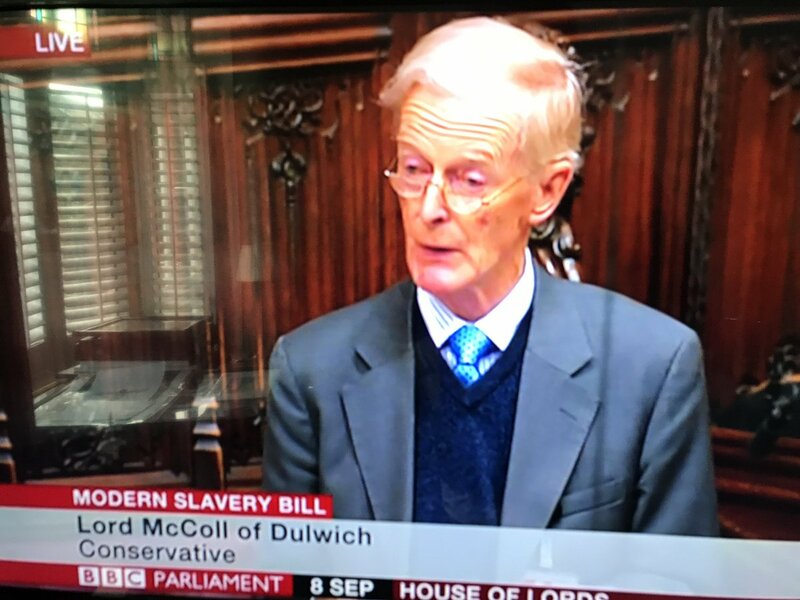 Lord McColl’s Modern Slavery Bill which received its 2nd Reading on Friday 8 September aims to enshrine in law victims’ entitlement to support during the reflection and recovery period, while the competent authorities are deciding whether there is evidence that they have been a victim of modern slavery. This would be accompanied by a statutory duty to provide confirmed victims of modern slavery with ongoing support and leave to remain for a period of 12 months. With cross party support, including a positive response from Home Office Minister Baroness Williams who took care to reassure her “noble Lords that victims’ rights will be upheld and guaranteed”, there is every chance this bill has the backing to pass through the various parliamentary stages and become law. CORE would like to see this bill generate a broader discussion on victims’ right to remedy. Too often victims face insurmountable barriers to remedy because of a number of legal and practical hurdles. The crucial concern is that there is no legislative right to civil compensation for victims of slavery and trafficking under the Modern Slavery Act. Trafficking, slavery, servitude and forced or compulsory labour are not considered civil wrongs and victims can only pursue a claim if they can “fit” the crimes to torts such as negligence or trespass to the person. The picture is even more complicated in cases where modern slavery has been identified in UK companies’ supply chains and operations. To date there has been only one successful civil claim arising from human trafficking and forced labour brought against a UK company. This was the case of Galdikas & others v DJ Houghton Catching Services & others. Kent gangmaster DJ Houghton Catching Services was sued by six Lithuanian migrants who were trafficked to work on farms supplying chicken and eggs to well-known brands. These men were threatened and assaulted by supervisors who intimidated them with fighting dogs, and were made to work back-to-back shifts for days on end without facilities for eating, drinking or resting. While the high court ruled in favour of these men, the the litigation was extremely complex and took two years to resolve. Baroness Hamwee raised this issue during the debate, reminding peers of the Joint Committee on Human Rights’ conclusion that the UK Government’s approach to business malpractice is, “weakest in the area of access to remedy”. Remedy is important in signalling a formal acknowledgement of the pain and injustice someone has received. It can also give victims much needed finances to rebuild their lives and to deter rogue employers from accruing profits from slavery induced commodities and services. For this to happen, the law needs to change to include civil wrongs of trafficking, slavery, servitude and forced or compulsory labour. Only then will victims’ rights be upheld.